As featured in ‘Condé Nast Traveler – Room with a View’, Hotel Mi Casita offers breath-taking views of the church of Santa Prisca from every room. Mi Casita, is the former house of Mexican fashion designer Tachi Castillo. Facing the ‘Casa Borda’, the family house turned hotel is located above where ‘Los Castillo’ workshop once stood, in the heart of the historic downtown Taxco, the world famous ‘Silver City’. We want to share the charm of a real Mexican home with our visitors. Come to Hotel Mi Casita, and let us make you feel at home! Quedate Sabado y Domingo y el Lunes es gratis. Promocion valida hasta el 30 de Junio 2018. Reservaciones se tienen que hacer con un minimo de una semana. Offerta es basada en tarifa de ocupacion doble. Stay Saturday, and Sunday and Monday is on us. Promotion valid until June 30 2018. Reservation must be made at least one week prior to arrival. 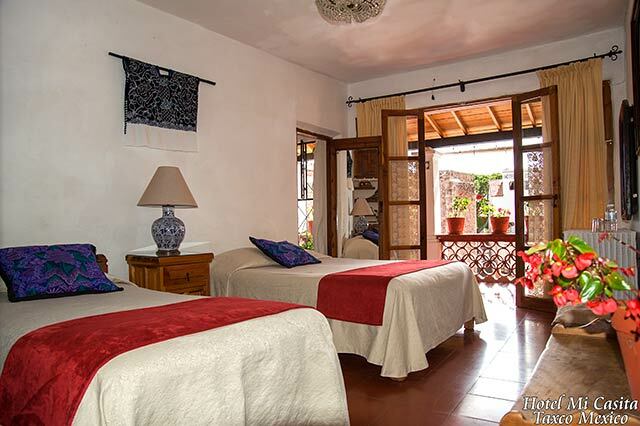 Hotel Mi Casita offers 11 rooms distributed on 3 floors of the main house, and a one bedroom guest house. 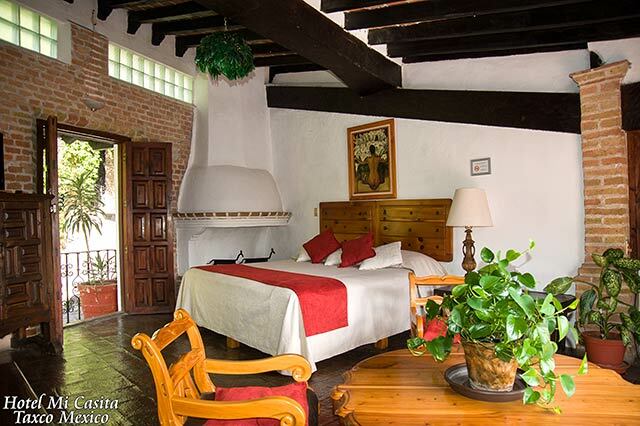 Each room is individually decorated in Colonial Mexican-style, with some of the original family’s furniture and decor. Every room comes with flat screen TV, free Wi-Fi, and has it’s own private bathroom featuring ‘talavera’ tiles. 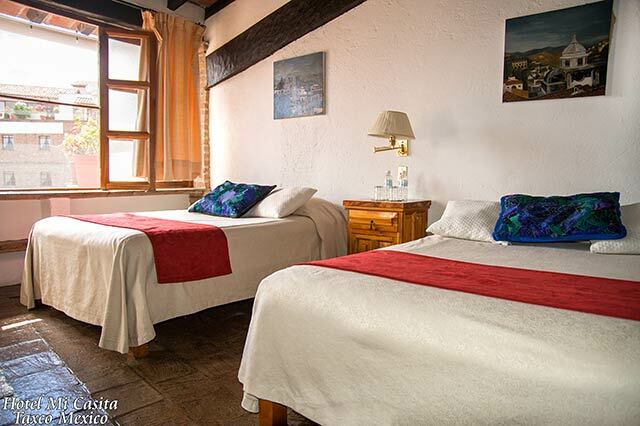 All rooms feature breath-taking views of Taxco and includes complimentary morning coffee & local bread.